THE Girls College board has come out in defence of their school head, Mrs Les Malcolm Ross who has been at the centre of the storm with pupils and former students accusing her of being racist. This saw the students and former students coming together to launch an online petition calling for the immediate dismissal of the school head. To date the petition has been signed by over 2 500 people. She has been accused of over the years subjecting black students to racist abuse, with the latest being a couple of weeks ago where it is alleged she ordered black students to cut off their hair as “it takes away their beauty”. The Government on one hand has said they have launched a full-scale investigation on the matter and would soon be issuing a statement. 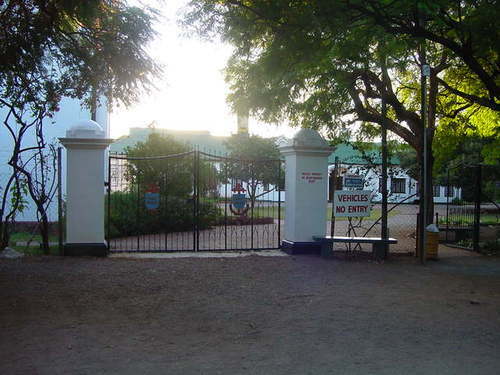 In an interview with Sunday News, acting Bulawayo Provincial Education Director Mrs Ollicah Fikelephi Kaira said they were in the process of gathering facts and would be in a position to release a statement regarding the allegations levelled against the school head. “My officers are investigating the matter, please be patient, we will soon be issuing a statement regarding the matter once we have gathered all the facts and interviewed all the involved parties,” said Mrs Kaira. However, the school’s board has leapt to her defence saying her conduct was above board, revealing that their investigations had revealed that the racism allegations were unsubstantiated. In the statement, the board says the college had a strict policy regarding hairstyles of students, which Mrs Ross was merely implementing. “In issuing this statement the Board confirms that it has investigated matters including the grounds upon which the unsubstantiated initial allegation of racism was based. In doing so it has questioned Mrs Ross and has also conferred with the School’s Uniform Committee and a representative of the Parent’s Assembly. “It is important to note that the college, from its inception, has strictly regulated the dress, appearance, conduct and demeanour of its students including their hairstyles while at school or school functions. It has not been, and is not, the school’s policy to insist upon or to recommend the cutting of hair by students of any race and the board is satisfied that Mrs Ross did not breach that policy in the manner suggested or at all,” reads part of the statement. The board further claims that, barring any ulterior motive in the students and former students presenting the petition, any comment which may have been made by Mrs Ross on the subject of hair and tidiness has been misconstrued. They further challenged those aggrieved to use the proper channels to air their concerns. Meanwhile, as allegations against the embattled school head continue to pile up, a former student who was an Upper Sixth pupil at the school last year, Miss Lezinhle Sibanda has claimed Mrs Ross struck her off the school’s magazine despite being the school’s games captain and is traditionally meant to be featured in the magazine. “I can say I was a victim of this school’s discrimination and ignorance towards black students. Last year I was the games’ captain, and you automatically get a page in the school magazine that has your speech from the sports women’s dinner but my speech wasn’t featured, instead they put the athletics captain’s speech who ironically was Caucasian. Up to today I have not been informed as to why that happened or have received an apology for the inconvenience. “I am speaking out because I am sure management reviews the magazine and surely they could have done something about it or at least apologise.